Construction of the US$770 million Kabwelume and Kundabwika hydro power stations and a transmission power line is scheduled to start in March 2019. When completed and fully operational, the two hydro power stations will generate a total of 163 megawatts (MW). Project Consultant, Elenestina Mwelwa, disclosed the development during the scoping stage of the environmental and social impact assessment meeting in Kawambwa district today. Dr. Mwelwa said when fully operational, Kabwelume falls power station will be able to generate 62 megawatts while Kundabwika falls station will produce 101 megawatts. The whole 163 megawatts will be offloaded into the national electricity grid through the Zambia Electricity Supply Corporation (ZESCO) sub-station in Mporokoso district. And Kawambwa residents are delighted with the upcoming project which they expect to lead to the increased economic activities in Northern and Luapula provinces and Kawambwa and Mporokoso districts in particular. Speaking on behalf of residents, Kawambwa District Agriculture Coordinator Davis Mwansasu the hydro power projects will create employment opportunities and associated infrastructure in the two districts. Mr. Mwansasu said the projects will also promote economic development and tourism. While this is a welcome development interms if having stable power supply in Luapula and Northern provincrs, BUT Surely,how can a 163 MW cost US$770million?? Is it really economical to go ahead and construct such power station? Who is constructing it and what are the terms of payment? Some cost evaluations are better left to the experts. What is the lifespan of hydro power stations, what is the payback period? @2.1 Kelvin,that is the information we needed in this article,economic and financial justification to put resources into an investment like that!! Don’t allow yourself to be cheated by so called experts who don’t volunteer information or carry you a long to make you understand how they arrive at prices for Public Procurement!! Leadership is about carrying people a long NOT imposing things which affect them with out adequate information!! @zambiaisours, if you are looking for that level of detail from articles on LT, I can assure you that you will always be disappointed. This is a private sector investment not grz through ZESCO like Kafue Lower or Batoka. Like the Maamba thermal plant which is privately owned they will sell the power to ZESCO. There’s simply too much superstition in the nation today we have even become sceptical to development-foreigners are investing and reaping while we preoccupy ourselves with fake news and suspicions of corruption that have never been proven and malice towards our leaders. Contd. 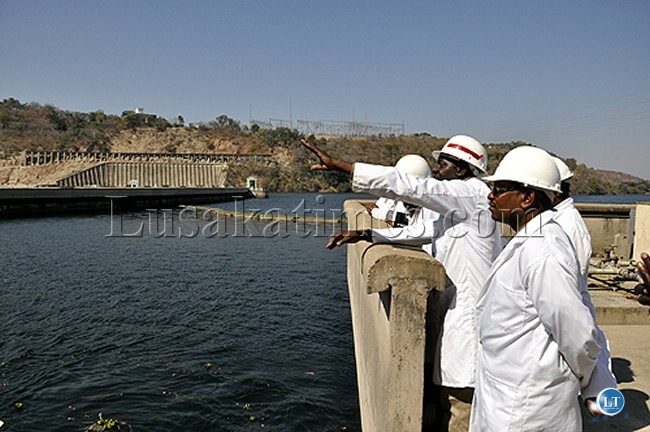 When completed and fully operational, the two hydro power stations (Kabwelume and Kundabwika) will generate a total of 163 megawatts (MW) at a cost US$770 million. AND THIS COST IS WITHIN THIS RANGE. In addition the cost also includes the cost of the transmission line. Please engineers stand up and be counted when it comes to the cost of engineering projects to counter people’s perception of inflated project costs sometimes wrongly attributed to corruption. Why are people questioning the cost associated with the two projects? This is purely private money. #2.4 Zambian citizen, What is the cost of Kafue Lower for 750MW? Multiply the cost of 1MW as given in my earlier thread and see whether the cost of 750MW is within IRENA’s cost estimates. Please note that hydropower projects are site specific. A site with a higher head, the distance which water falls through, would use less water and cost less to produce the same amount of power as a site with a lower head which will require a lot of water to produce the same amount of power. And there are no two identical hydropower sites in the world.